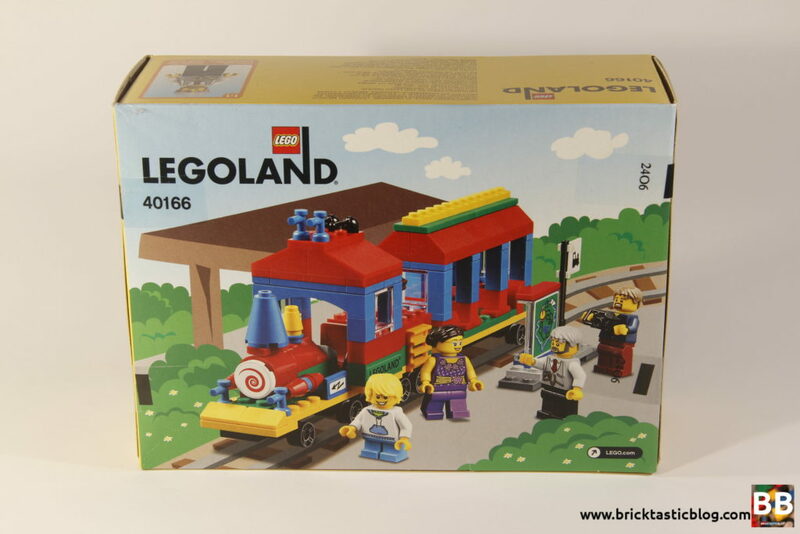 After visiting LEGOLAND Malaysia last year, I was lucky enough to spend a whole stack of cash on some exclusive sets, and 40166: LEGOLAND Train was available, and in abundance. I quickly grabbed one and got stuck into it over the Easter long weekend. Inside the bright and colourful box are four un-numbered parts bags and an instruction booklet, as well as a sticker sheet with eight stickers. Aside from them being in beautiful primary colours, the elements included are rather standard. There’s nothing in this set that is exclusive, but some elements, especially the hair pieces, are not in many other sets. 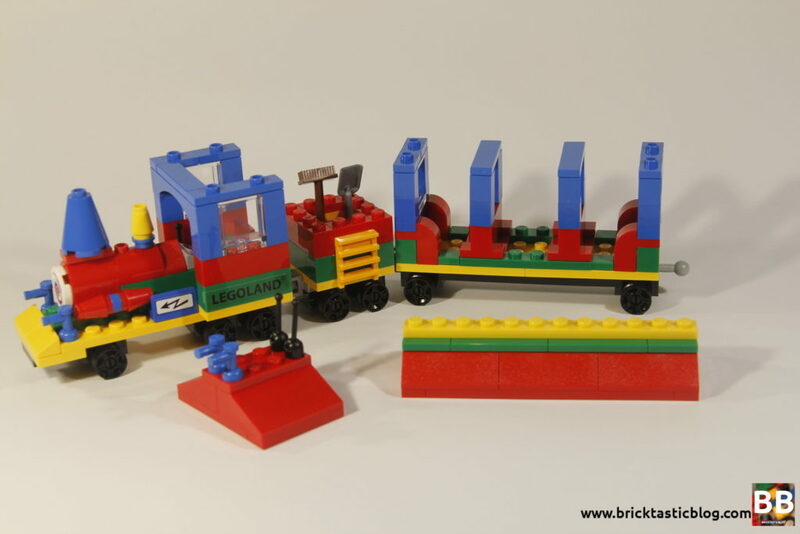 A few of the rarer items that I noticed included the yellow 1x2x2 ladder, the 1×6 blue brick with arch, and the small rims. The ladder has been around since 2014, but has only been in four other sets, a Disney set, and an assortement from the Friends line. 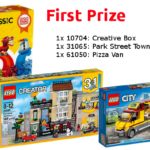 The arch is found in another five sets from three different themes, and the rims are even harder to find, unless you collect LEGO Dimensions, where it’s found in four sets, plus the new 60151: Dragster Transporter from LEGO City. 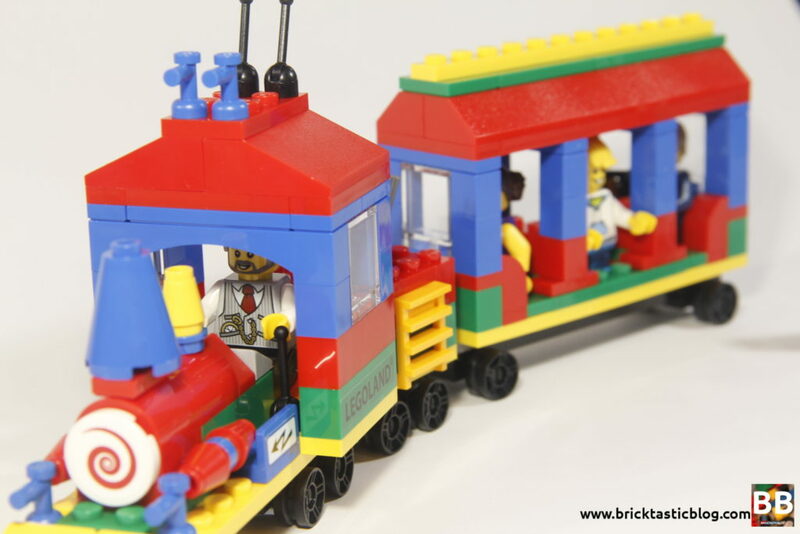 The minifigures included are the train driver, and a family, with a Mum, Dad and boy. All have back printing. My favourite is the train driver. He’s got a great bearded face, and a rather fetching vest with a pocket watch. 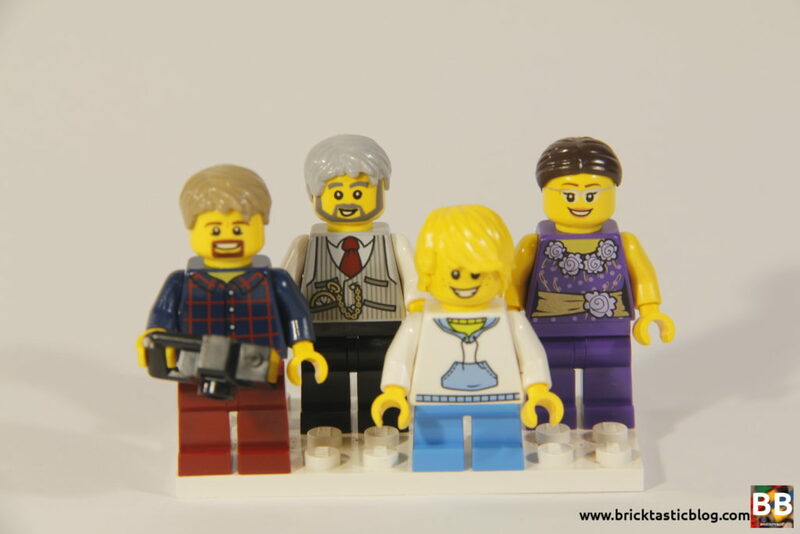 The family are pretty standard – Mum with a purple blouse, a goatee wearing, camera toting Dad, and a blonde boy with a white hoodie. 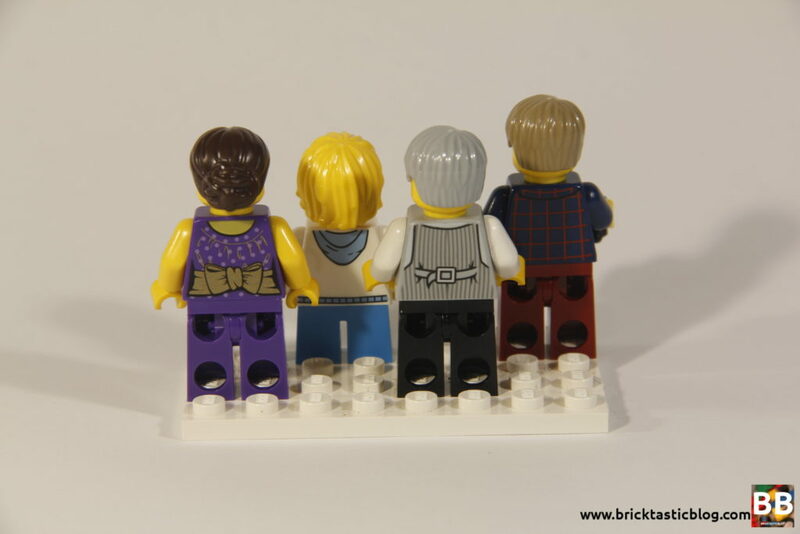 I like the hair on the boy, and he’s also the only minifigure with a double sided face – happy and nervous. 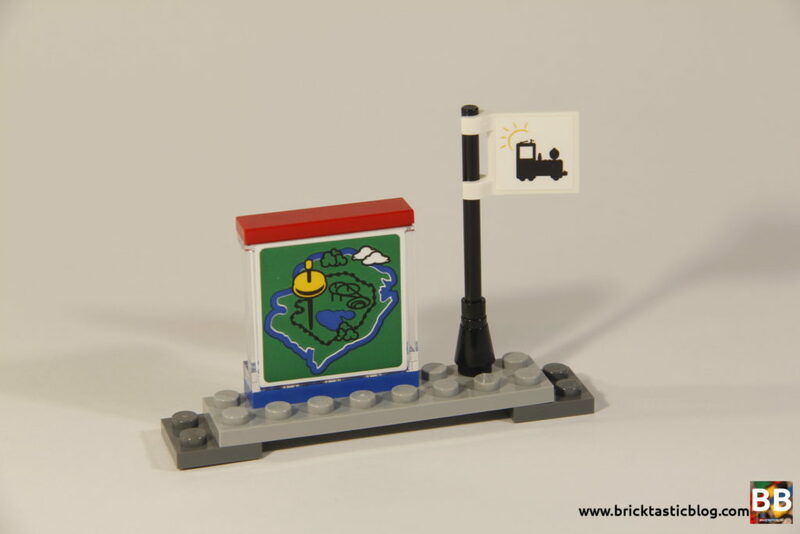 This head is quite rare, having only been seen in 10247: Ferris Wheel, and a LEGO Education set, 45022: Community Minifigures. For a small and simple set, the play value is good – honestly better than I expected. The train and minuscule stop make for some good carpet swooshing, with the family ready to go on a ride, but what I didn’t expect were the removable roofs, on both the engine and the carriage. This makes for much easier embarking, and while it looks obvious now, I didn’t expect it to be a feature. Nice work LEGO! The build is very simple – about as simple as you can get. There is only one proper SNOT element, used at the front of the train. The rest is studs up, bricks on bricks. There’s honestly nothing all that exciting about this one. The engine comes first, followed by the tender, and the passenger carriage to finish it off. Lastly, the extremely simple platform is added. The stickers aren’t too bad this time, and there’s only six. I love the colours of this set. They’re bold, beautiful, and very eye catching. As far as similarity to the real thing goes, well, it’s very close. The version that I saw at LEGOLAND Malaysia was much more elaborate, but the basic details are there. It’s honestly not too far off. 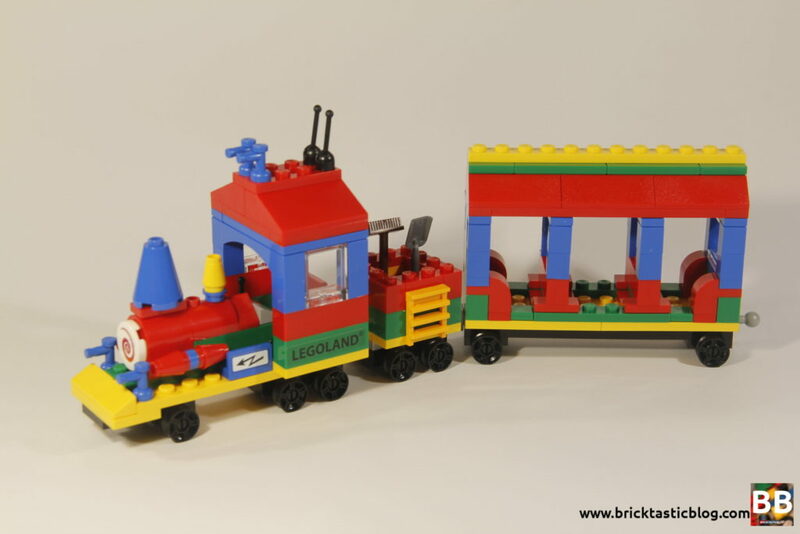 If it did have the same characteristics as the lifesize LEGOLAND Train, it would have been far too cluttered, so bringing it back to basics was a smart move. It’s a very cute little train. 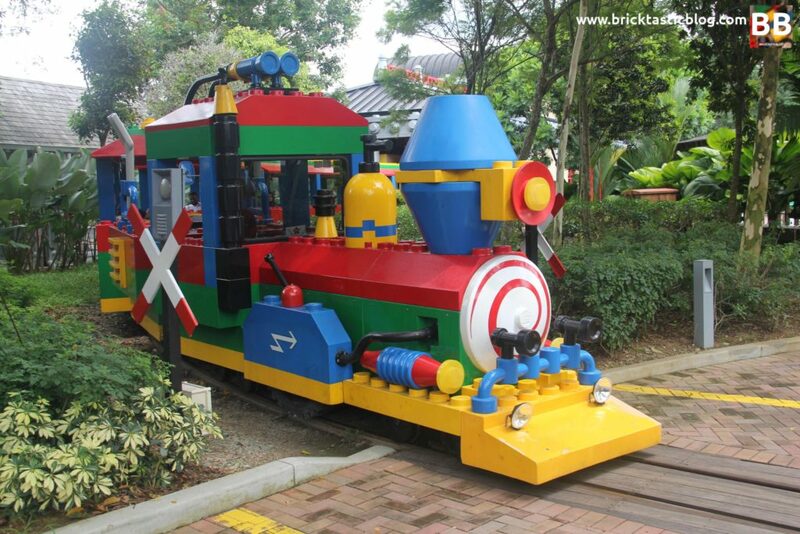 As far as cost per element goes, if you can get the LEGOLAND Train at retail price (~AUD$20), then it’s a bargain. However, you’re not getting all that many excellent or exclusive parts. If you’re paying more than that, you’re looking at less value, of course. 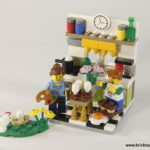 LEGOLAND exclusive sets are highly collectable, with fans purchasing multiple copies of a set as a regular occurrence. 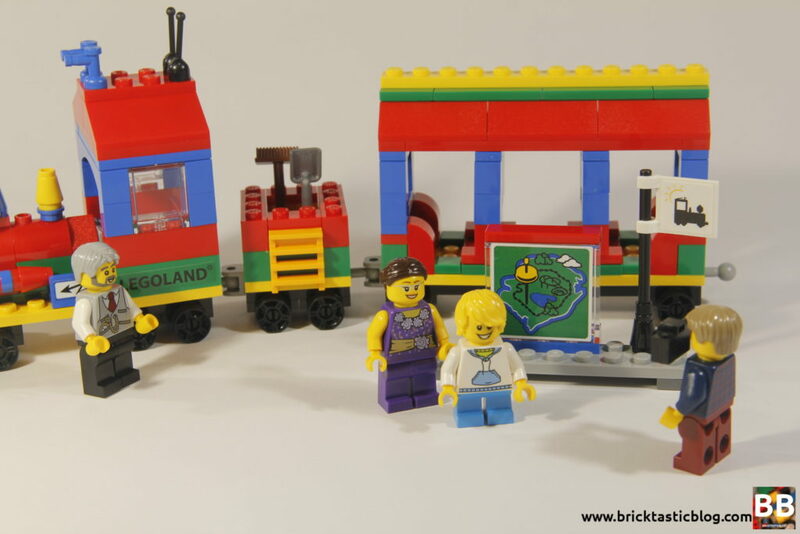 If you can get a couple of copies of the LEGOLAND Train, it’s worth it. One to build, and one to sell as MISB later for a profit. But remember, don’t be greedy. Make sure you leave some copies for someone else to buy! Do the right thing, folks. Next week I’ll be reviewing 42063: BMW R 1200 GS Adventure – the big Technic motorbike. Until then, happy building!